Originally posted on the blog of Absolute Travel. 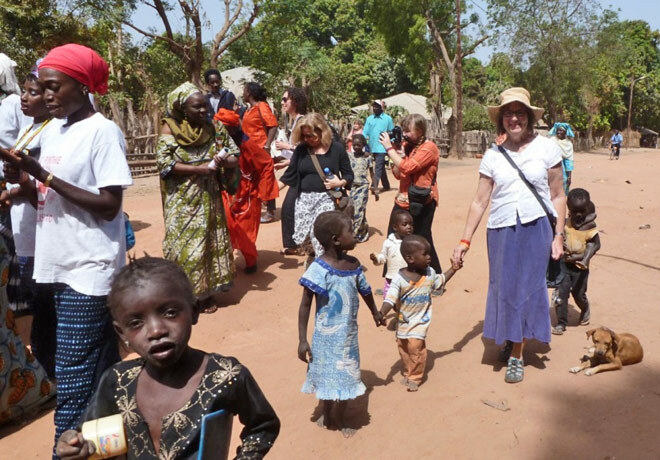 On a recent one week study tour sponsored by American Jewish World Service (AJWS), with the assistance of Absolute Travel, I became fully immersed in the magical world of Senegal—its people, its culture and its struggles to forge peace and overcome poverty. 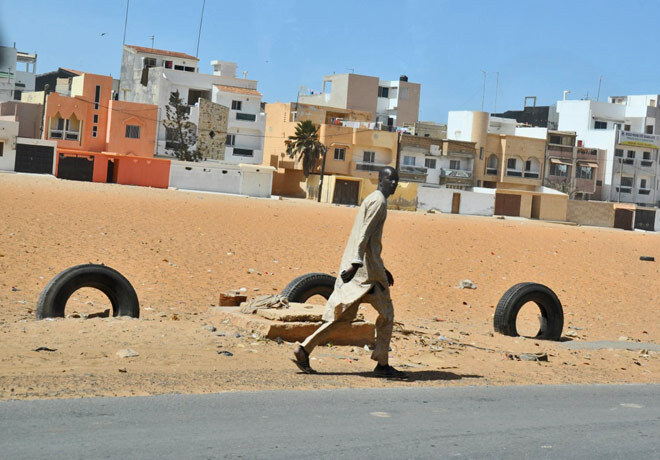 Our group was shuttled through the dirty, dusty, dilapidated streets of Senegal’s capital city, Dakar, to the headquarters of AJWS grantee, Y’en Amarre, a youth activist movement that was largely responsible for the recent peaceful changeover of the country’s president. 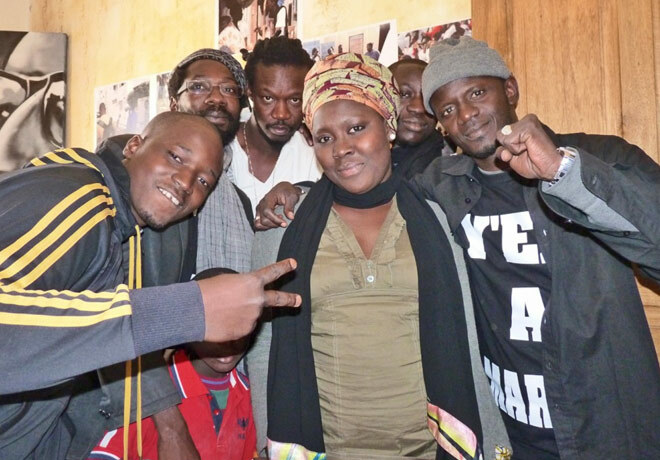 Founded in 2011 by a young group of rappers and journalists who were fed up with a whole host of problems facing the country ( government corruption, constant power cuts, social injustice, price hikes, school shutdowns, disease), Y’en Amarre set out to sharpen the awareness of the people using hip hop to communicate their grievances. In the first year, they registered hundreds of thousands of youth to vote and thwarted President Abdulaye Wade’s attempt for reelection. Since the election, the groups’ numbers have swelled and their influence has broadened. 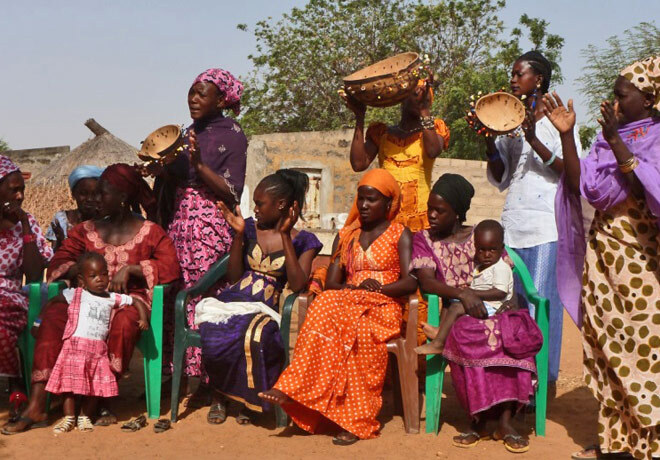 We heard speeches from a few of the founders as well as testimonials from some chef d’esprits – chief spirits, or leaders of the 14 regional areas that have been funded across Senegal. 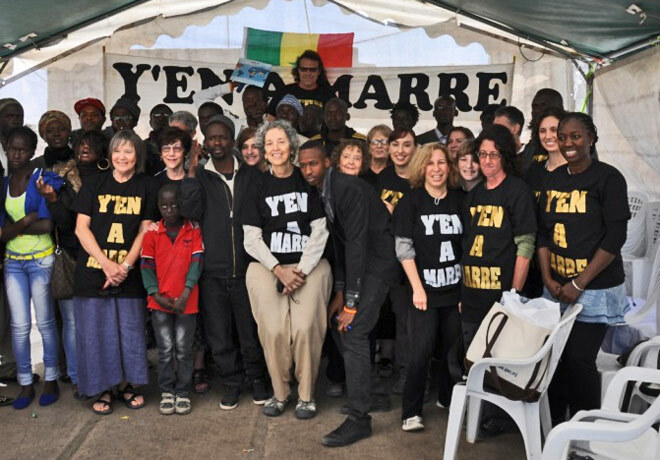 Moving forward, Y’en Amarre’s goal is to further citizen awareness, with the overriding idea that if they can wake up the youth, they can change Africa. Later that afternoon, a short flight landed us in Ziguinchor, capital of the Casamance, an isolated region in southern Senegal that has been witness to more than thirty years of civil strife. 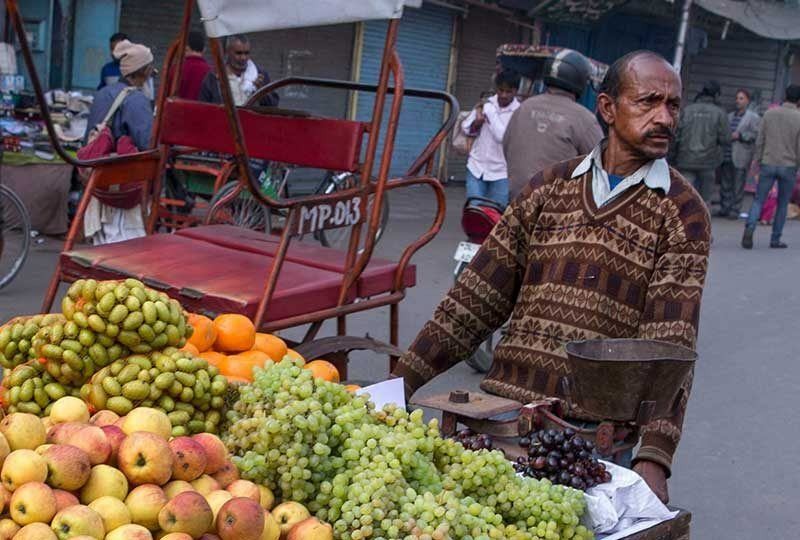 An armed rebel uprising, pushing for independence from the rest of the country, has resulted in widespread poverty with many families having been forced to flee their homes. As is so often the case, women and children have been the hardest hit. Displaced families have faced an uphill battle as lack of food, education and health care have left many in dire straits. 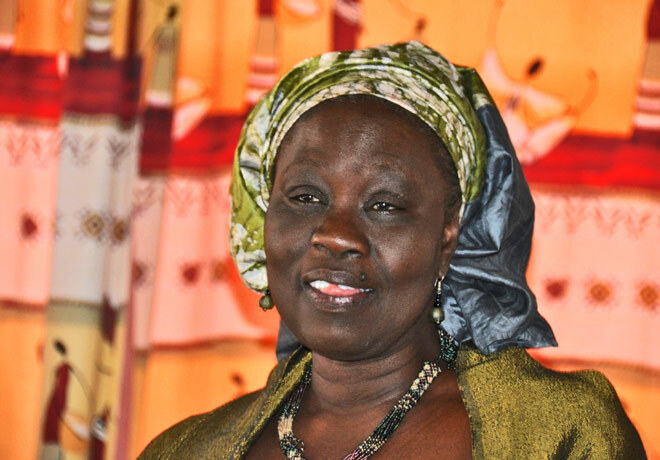 One woman, Seynabou Male Cisse, recognized the potential of women in her community, and in 1999 founded USOFORAL, which in Wolof means “Let’s Join Hands” a grassroots organization that believes women can bring about peace through dialogue and mediation. 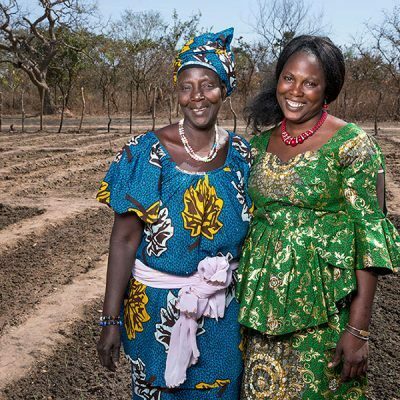 Since then, many women across the Casamance region have used the USOFORAL model to take matters into their own hands, rallying to create peace and strengthen their communities. We met with Seynabou and then boarded a minivan to the village of Agnack, about 45 minutes from Ziguinchor. We were greeted with a warm welcome from many women and children who danced and sang as they paraded us down the main street to the center of the village. After numerous speeches from men and women in the community explaining how funding has greatly helped to rebuild their village, we visited their communal garden. 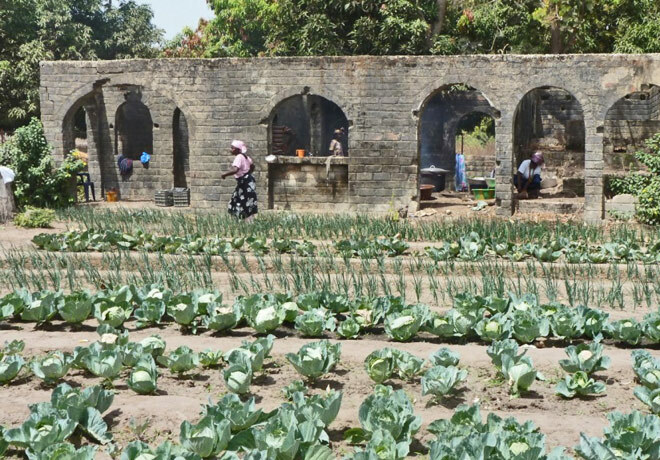 The garden has enabled villagers to feed their families and profits go towards paying for necessities, such as school supplies and rice machines that help reduce the burden of work, bringing many different villages together. 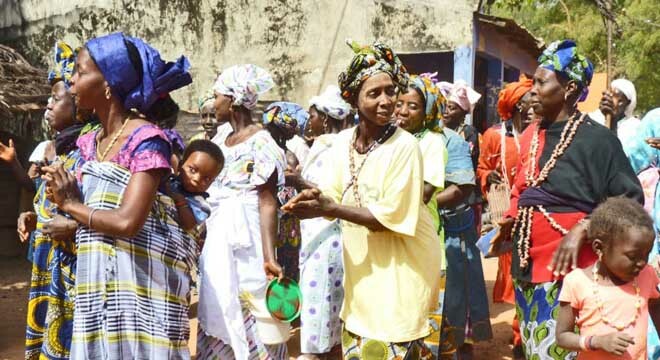 USOFORAL also co-founded Plateforme des Femmes pour la Paix en Casamance (PFPC), which received one of its first grants from AJWS and is a coalition of 170 groups that represent more than 40,000 women. 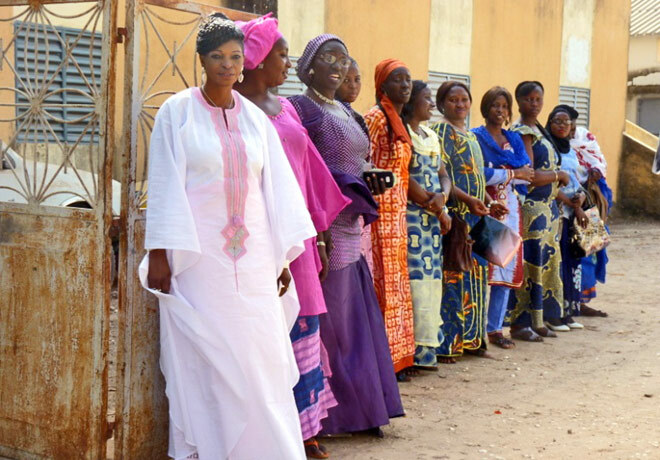 PFPC has helped mobilize women across Senegal to advocate for peace in the region. They have provided much needed assistance for the disabled, displaced and traumatized. In a very short time, PFPC’s actions have gained respect and national attention. We heard a number of deeply emotional and gut-wrenching stories from women who have experienced the unspeakable. It is both humbling and remarkable how these women, most of whom have lost multiple family members over the course of the war be it by gunshot, knife or landmine, are able to stand up and express themselves so eloquently. Another day led us to the headquarters of World Education Service and Kassoumaye FM in Ziguinchor. For many years lack of communication left the conflict in the Casamance hidden from the world. 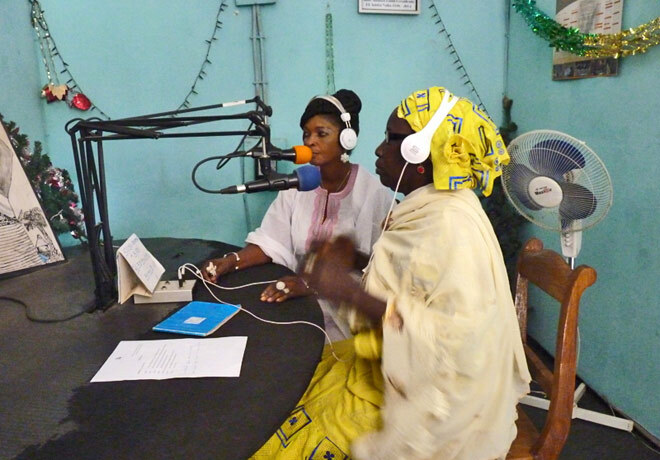 With the aid of AJWS grantee World Education Service, a grassroots organization whose goal is to bring about peace and prosperity, women in the area started the first radio station, Kassoumaye FM, and began broadcasting programs about developing peace. Their idea was that by getting people together to discuss their problems and solutions they could initiate change. Moreover, the station gave a voice to women, the pillars of strength in society, putting them on equal footing with men. Today, the shows supported by the station offer open dialogue, on diverse topics such as, family, education, landmines, reintegration into society, malaria, HIV, and drugs, while programs on music and sports help unite opposing factions in the region. Due to Kassoumaye FM’s overwhelming success, villages around the area have since opened 16 more stations, three of which are supported by AJWS, and all of them are recognized by the communities and government. 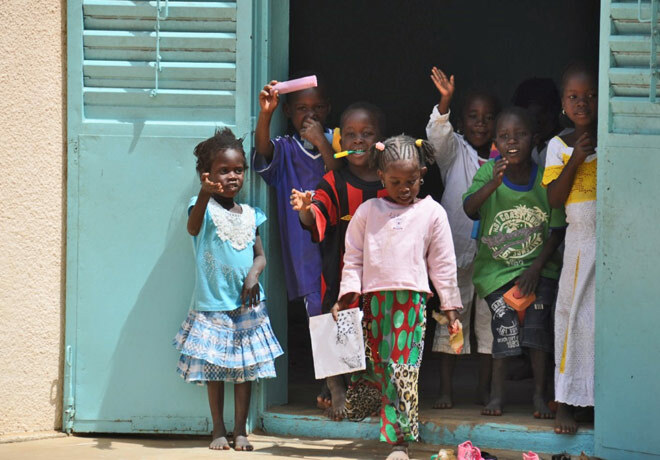 Each station reaches approximately 60,000 people, which translates to a total of half the population in the Casamance. After hearing a number of testimonials from women in many of the outlying areas, we went upstairs to the actual programming room. 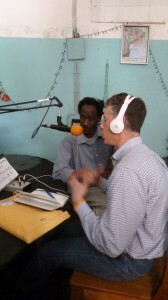 A few of us even had the chance to speak about our visit on public radio. 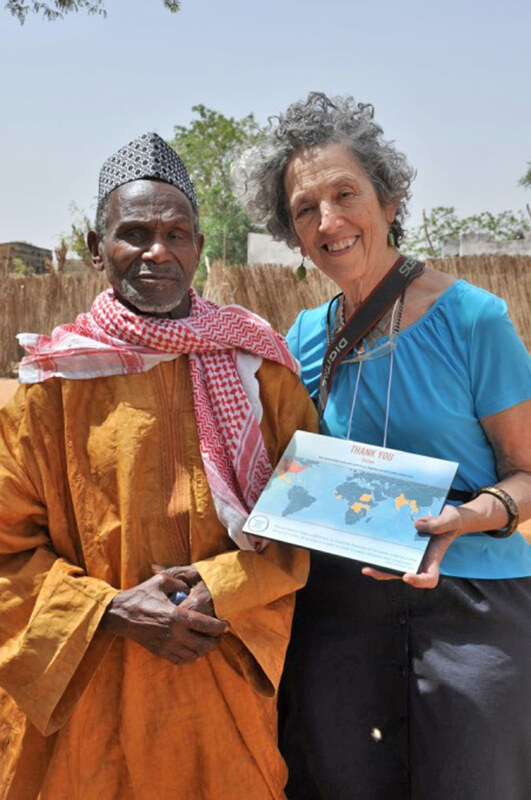 One of our last visits was to Tostan, which means “breakthrough” in Wolof, a longtime AJWS grantee. 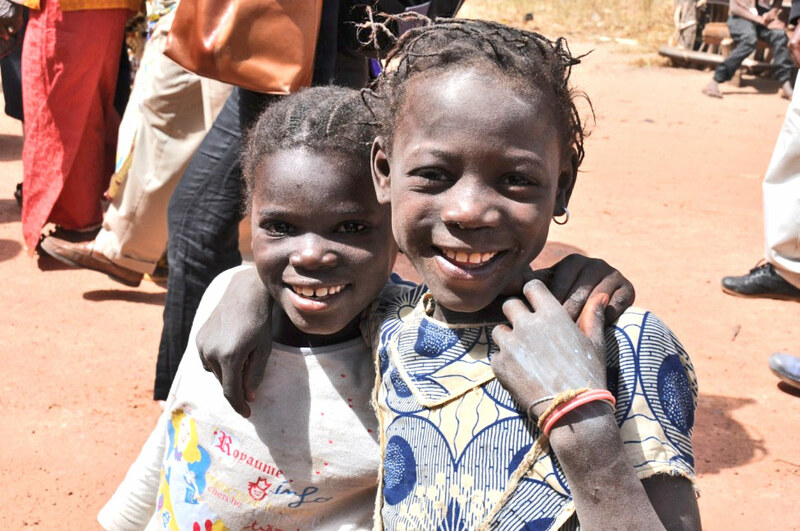 Lauded by UNESCO as one of the world’s most innovative education programs, Tostan has been at the forefront of social change for the entire African continent. The organization and its founder, Molly Melching, have been widely recognized for their campaign to end the practice of female genital cutting (FGC), but now focus on much broader issues, such as reducing poverty, lowering child and maternal mortality rates and ending child marriage. Tostan’s success is largely due to its innovative approach of empowering locals to discover solutions to their own problems. This bottom-up model has since been extended to the overall strengthening and development of local communities, affecting more than 220,000 villagers across Africa. Simbara, a village just outside the city of Thies, is one such model Tostan village. We were greeted by singing, dancing and hordes of adorable children. We also heard from the chief of the village, a true hero by most counts, as he is one of the first men to denounce FGC and spread the word. We learned that prior to Tostan’s arrival, the village had no electricity, no running water, and no toilets. Women often died in childbirth partly because there was no transportation to get them to the hospital. They have since learned how to build latrines, installed a water pump, brought in solar panels, and petitioned for government support. 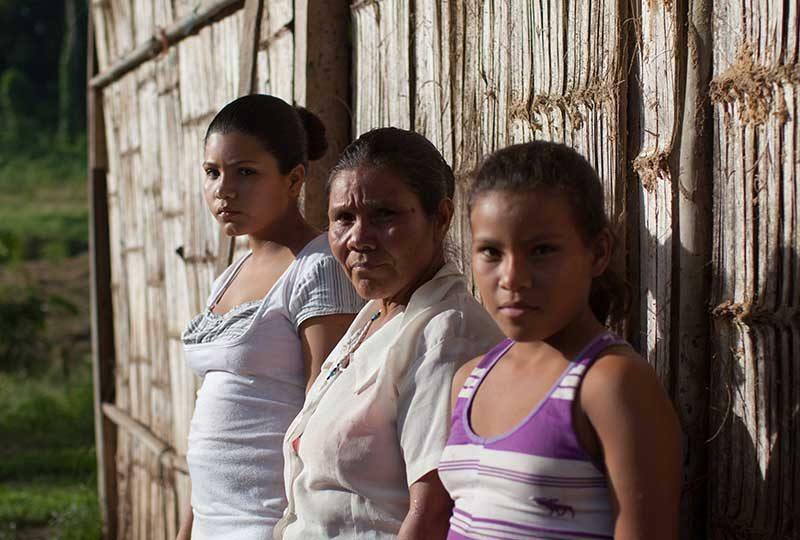 Women now use midwives and often go to the nearby hospital to deliver their babies. We then took a tour of the solar repair shop, the preschool and the health “hut.” Villagers now have a central location to charge their cellphones, lamps and other basic appliances, and since the building of the health center there have been no issues of infant mortality. We rounded out this eventful day with cocktails and dinner with Molly Melching herself. 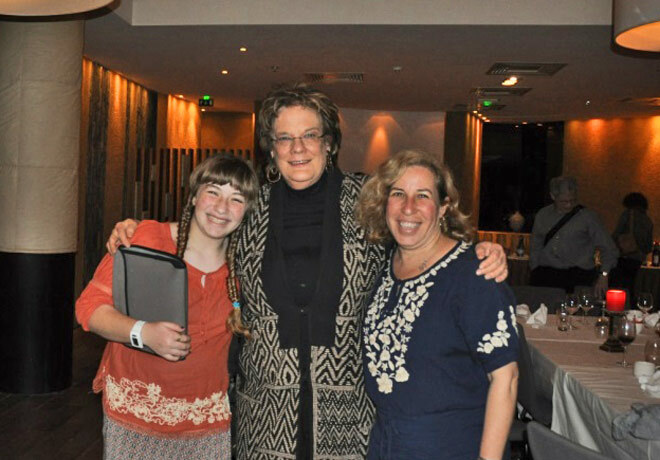 One of the most inspiring women and charismatic speakers, it’s no wonder her book, However Long the Night has been awarded numerous prizes in the field of humanity. 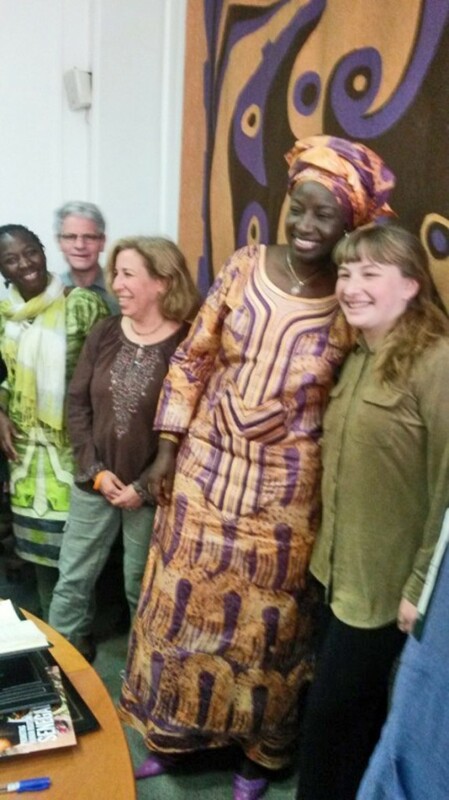 The afternoon before our last day, we were informed that AJWS had secured a time slot with Senegal’s second in command, Prime Minister Aminata Toure. Very impressive! When we arrived at government headquarters we were escorted into a private room. Madame Toure soon entered. We stood and each of us introduced ourselves. She told us that since taking office 24 months ago, she feels the pressure to make changes. She explained that the three major obstacles facing her country right now are the fight against corruption, gender equality, and poverty. And it looks as if progress is being made. 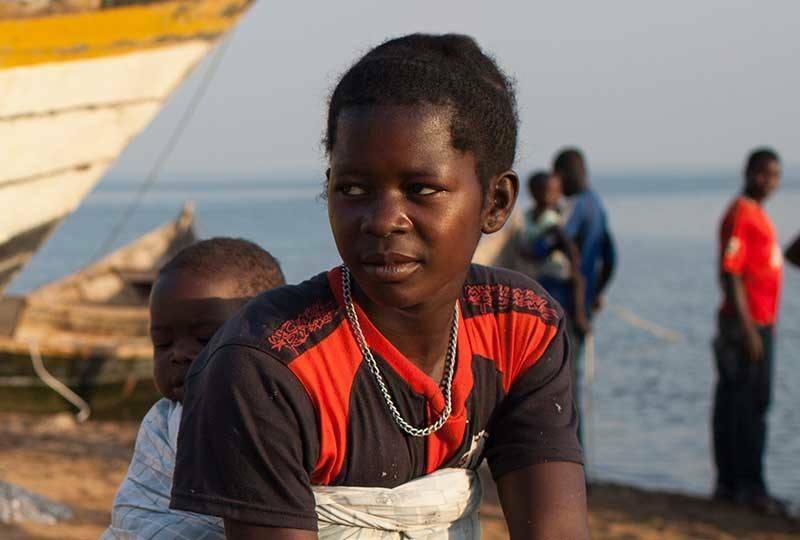 A top official was recently arrested, sending a strong message throughout Africa; women are gaining a place and voice throughout the country; and programs to provide a variety of social safety nets, and give access to potable water and medical coverage are starting to take shape. She also explained that the world trend of villagers moving to cities has created a push in Senegal to develop agriculture. 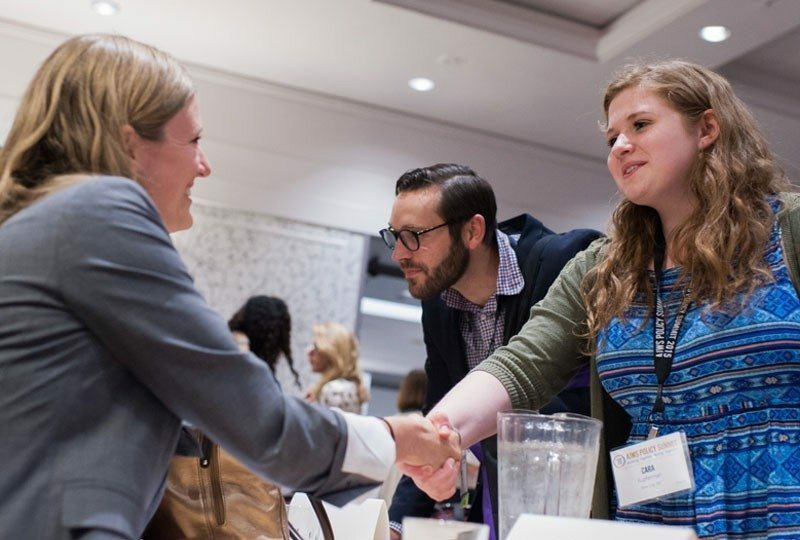 “If people know they can make money at home, they will stay,” she says. Only one week had passed, but the wealth of information we gathered, sights we had seen and experiences we had undergone, made it feel as if a month had gone by. We all departed, with new friendships forged, awareness deepened, senses expanded. All of us realized we had received the opportunity of a lifetime, one that could never have been achieved on our own. 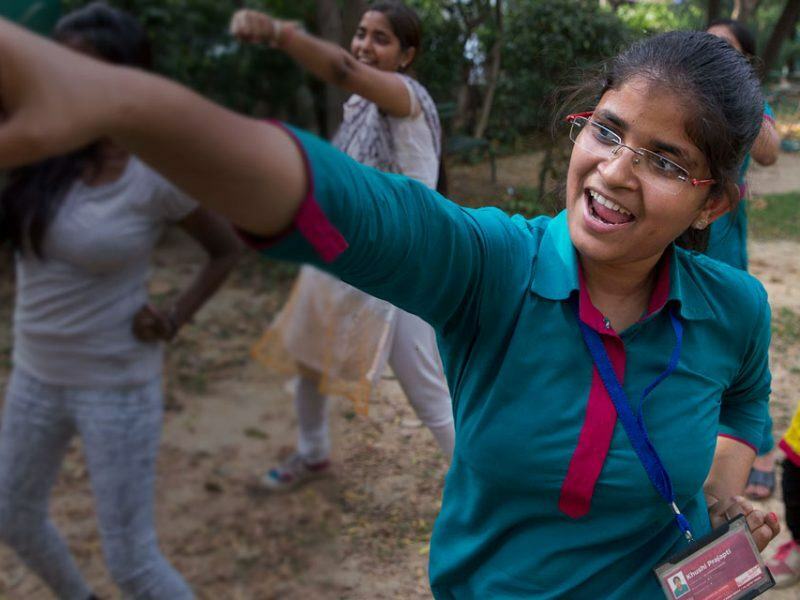 Learn more about Absolute Travel’s partnership with American Jewish World Service (AJWS) on our Absolute Awareness page, here, and learn about AJWS’s upcoming study tours here.